“Domestic Disturbances” is an exhibition of work relating to the home, the human condition, and how our lives are reflected in what we call home. Issues represented in the work of Alberto Aguilar, Robert Burnier, Lily Dithrich, Victoria Fuller, Alyssa Miserendino and Alison Ruttan deal with what constitutes a home, and how homes reflect our selves, outwardly and psychologically. 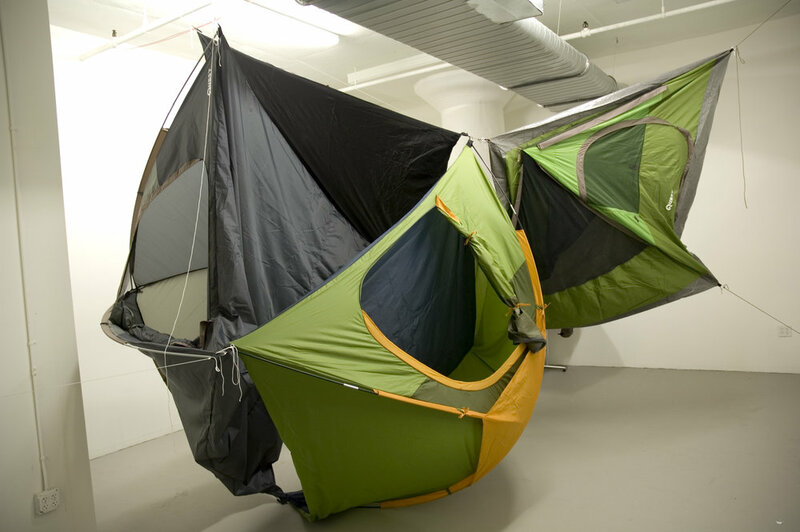 In this exhibition, Robert Burnier‘s suspended tent installation suggests the impermanence of home, whether in the urban environment, or in war-torn countries. So too does Alison Ruttan find urgent subject matter in the displacement of people, with ceramic sculptures of bombed buildings in Syria. In his photographs and installations, Alberto Aguilar explores formal and personal connections to objects from his own home, and from the homes of local Ukrainian Village residents. 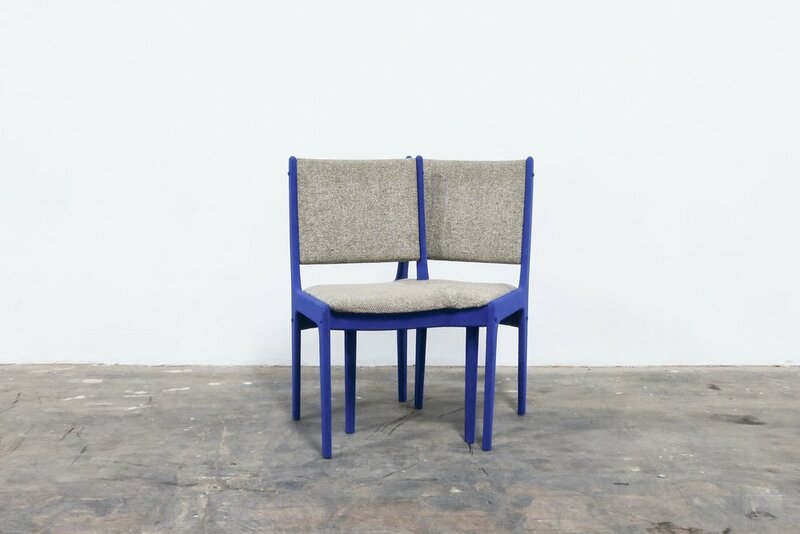 Lily Dithrich and Victoria Fulleralso draw from everyday domestic objects; the former finds hidden meaning through the manipulation of furniture, and the latter manifests ordinary household items in extraordinary ways. Alyssa Miserendino re-photographs the photographs made by her father, who coped with a personality disorder by using a camera to connect with his family and home life. Homes have such a deep connection to our identity and it is where our most intimate moments play out, for better and for worse. The loss of home by war, disaster, or economic hardship can be devastating. Objects we collect are both personal and impersonal – some have a personal history, and connect to our personal identity, and others are of throwaway value or simply utilitarian. 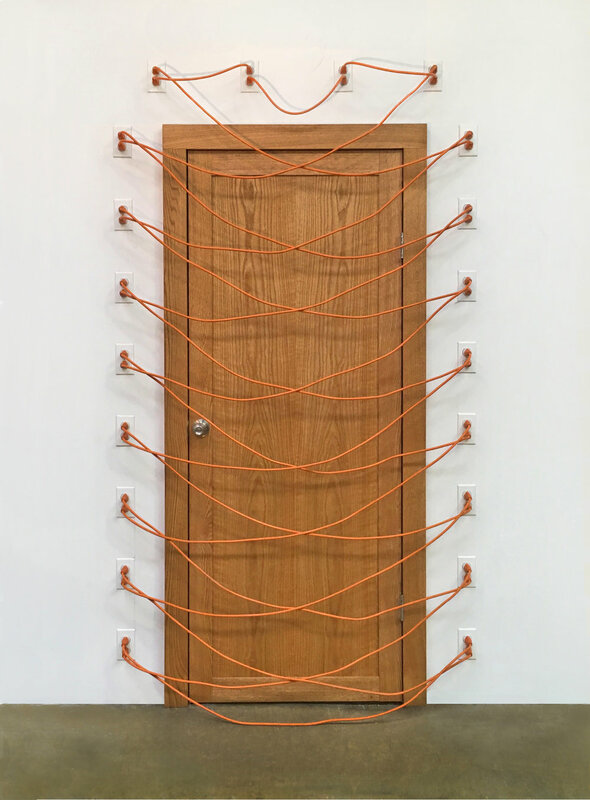 The artists in “Domestic Disturbances” approach the subject of home through psychological and symbolic perspectives, as well as situational ones. Ceramic, 9.75 x 11.5 x 12.75 in. 33 x 35 x 20 in. 54 x 93 x 4.5 in.